Have you ever wanted to go on a Luxury Thailand Cruise but can't quite figure out how to go about finding the right one to suit your needs or the destination you'd love to explore? Well, perhaps I can help take the stress out of trying to go it alone and hopefully point you in the right direction. 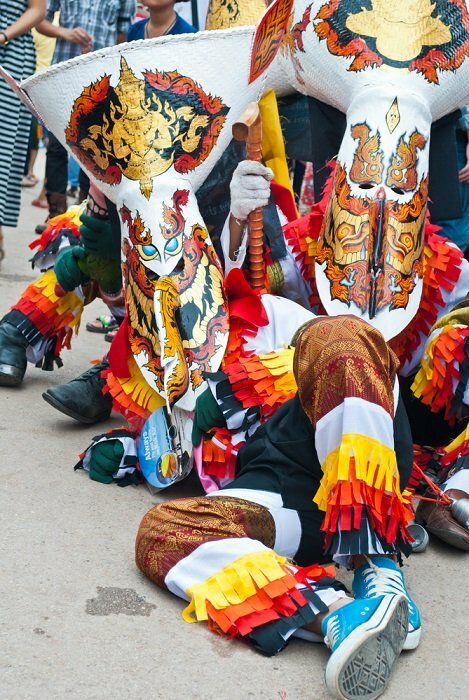 I've joined a worldwide tour company that not only arranges some of the best luxury cruises in Thailand but also provides many other great tours around the country. Besides being in good hands, you are welcome to contact me personally for any additional advice. You can rest assure it won't cost you a cent more when booking your luxury Thailand cruise from this page. Wishing you all a pleasant voyage. 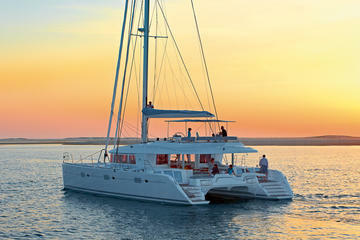 Let me be the first to welcome you aboard your very own private, crewed and chartered 60ft catamaran. Spend a week with the captain and crew sailing the bays and islands and water-side villages of Thailand whilst your hostess prepares your all-included meals of fresh local produce, fish and tropical fruits. Combine your sailing time with the optional excursion package to discover James Bond Island, sea kayaking through mangroves and take part in an elephant trek. Is this something you've always wanted to do? Now would be the best time. How would you like to go on a luxury Thailand cruise sailing the ocean on the Andaman sea from Phuket during sunset on board a catamaran? 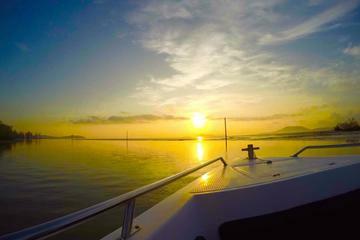 You can relax on board while watching the sunset with your family and loved ones. Included on the trip, you'll be invited to a great barbeque dinner which is served on board the catamaran. This particular journey operates daily with a maximum capacity of 25 passengers per trip. This sailing trip is set at a relaxing and smooth pace for your enjoyment and is also a great option for those of you who prefer less crowded cruises with a variety of optional activities. How would a luxury Thailand cruise through some of the country's most beautiful islands sound to you? 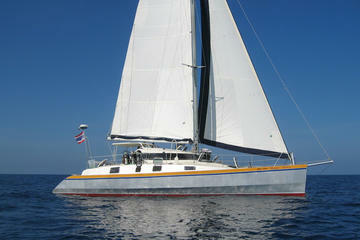 Here is a great chance for you to explore the natural landscape of what Thailand has to offer aboard a luxury yacht. On our luxury cruise, you'll be able to explore any one of the major destinations from Phuket including the stunning Racha Noi/Racha Yai, the famous Phi Phi Islands and Phang Nga Bay as well as the Similan islands and the seas around the Krabi Peninsula. Just to give you an indication of the type of vessel you can expect in operation, you can escape the mass tours in a Numarine built yacht with a length of 108 feet with a cruising speed of 26 knots and a top speed of 31 knots. Cabins on board include one Master, two Double and one Twin with a crew of four and catering for up to eight guests. 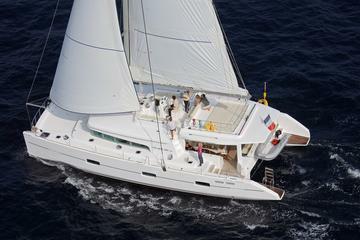 How would you like to go island-hopping on the Andaman Sea aboard the catamaran Amadeus? This stylish vessel offers you the holiday of a lifetime. You'll be departing from Chalong Pier in Phuket and the voyage will comfortably take you to the most beautiful islands available in the area from Phi Phi Islands to Phang Nga Bay to Racha Islands. The choice is yours and the cruise can last as many days as wish. It simply doesn't get much better than this. See details above. Discover the Andaman Sea aboard catamaran Mozart. This stylish 48-foot vessel comes fully crewed and equipped to provide you with maximum comfort complete with gourmet cuisine. You'll be truly amazed at the destinations in Thailand you'll get to visit such as the Phi Phi Islands, Phang Nga Bay, Racha islands, Ko Rok, and the Butang islands and then some. Never heard of the Butang islands? No worries, they are near the Malaysian archpelago of Langkawi. 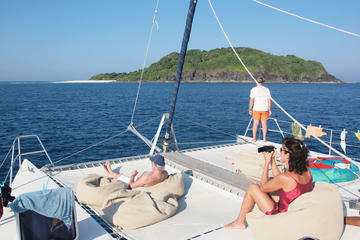 All these destinations can be reached in accordance to your wishes during this catamaran cruise. The Mergui Archipelago in Myanmar is another hot spot at the moment and the catamaran Mozart is one of the few yachts permitted to sail in these very waters. Hype Boat offers you a total VIP package. Your experience onboard features a comfortable daybed complete with a table and plenty of shade should you so wish. If you want to be more comfortable, you can settle for the best place on board to enjoy your day while indulging in an excellent buffet with items such as sushi, seafood salad and a host of other delectable delights. You can have all the fresh fruit you like in the middle of the day and have all your soft drinks for free all day on this packaged VIP trip. Do you think this is the one for you? How would you like to speed away to Phi Phi Island at sunrise to avoid the crowds from Phuket? On this trip, you'll get to see Maya Bay which featured in the movie 'The Beach'. Believe me, it's even more beautiful than on film. You'll get an opportunity to snorkel at Pileh Lagoon and Bamboo Island. You'll also get to explore the popular destinations of Viking Cave, Loh Samah Bay, and Monkey Beach. This day trip includes round-trip hotel transfers to the pier plus breakfast and lunch. 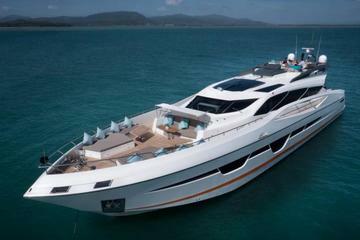 How would you like to board the well-appointed ‘June Bahtra’ for a fabulous sunset dinner cruise around Phuket Island? 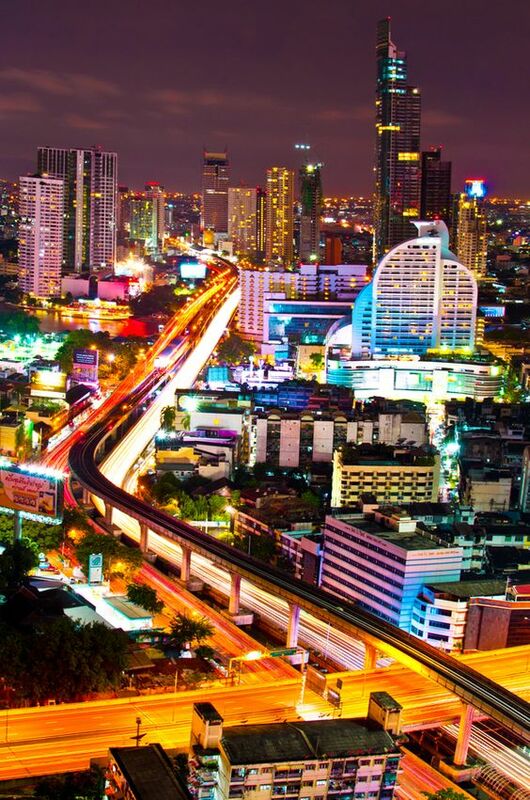 Your 4-hour tour includes an intimate dinner buffet and round-trip hotel transport from Phuket. On this voyage, you'll get to see the sun slip past the horizon while it carves an array of colours over the emerald-green waters of the Andaman Sea. All this while cruising along a magnificent coastline. 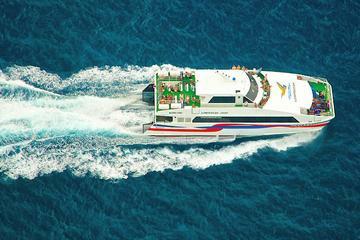 Here's a great opportunity to travel from Phuket to Koh Tao by VIP coach and the Lomprayah catamaran via Don Sak Pier with a convenient pickup service from either Phuket Town, Patong, Karon or Kata beach. You'll be dropped off at the Mae Haad Pier on Koh Tao from where you can easily grab a taxi to the hotel of your choice.